The Rolling Stones emerged in the summer of 1963 as the so-called "bad boys" antidote to the Beatles, a characterization that became one of the foundations of modern rock 'n' roll. In the 25 years that followed, the Stones have succeeded in outraging, mystifying, confusing yet always inspiring their fans. 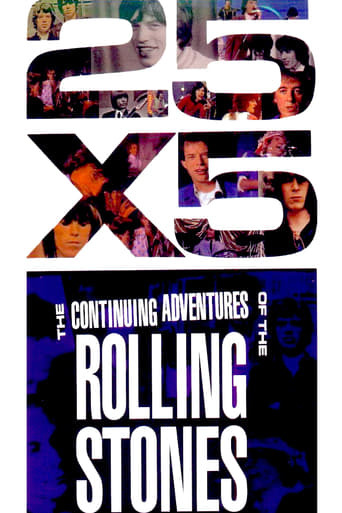 25 X 5: The Continuing Adventures of The Rolling Stones is the first time that the Stones have gone on camera to tell their own story. Over two hours of devastatingly frank narratives by Mick Jagger, Keith Richards, Charlie Watts, Bill Wyman, and Ron Wood are underscored by rare interview segments with Brian Jones and Mick Taylor, and rare and never-before-seen archival film, video, and newsreel footage.